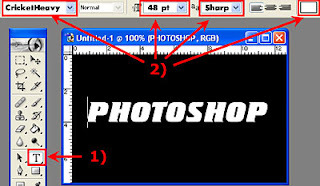 1) Use Type Tool to type any text, for example, Photoshop. 2) Set the size and choose a color. Now we try to apply a multiple effects. 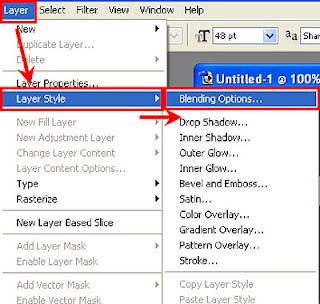 To do this, use menu: Layer / Layer Style / Blending Options. 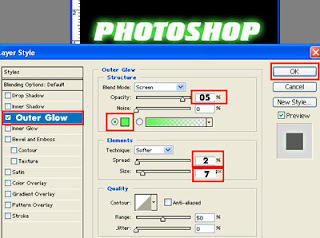 In the new window select Outer Glow and set the parameters shown in the picture. 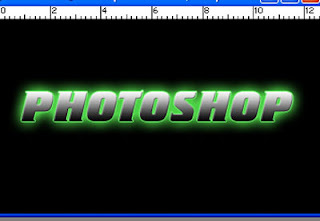 Double click on the square with the green and choose whichever color you want. Save the changes. Once you click on the square you will see a box for selecting a color. 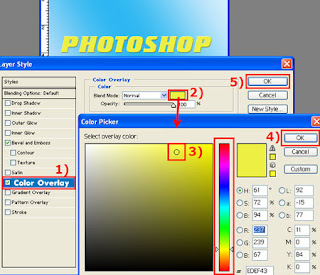 Use the color picker and select a different color. Save the changes by clicking the OK button. 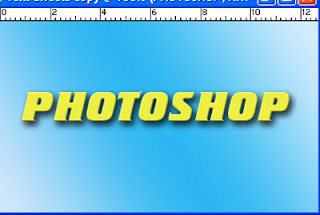 Now, in the same window (Layer / Layer Style), select Bevel and Emboss. 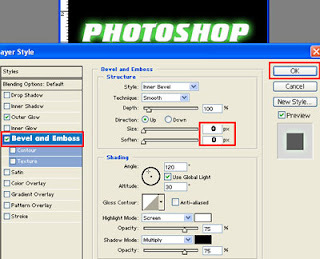 Set the parameters as on the picture. Experiment with the settings, maybe you’ll like the other option. Add a gradient effect. 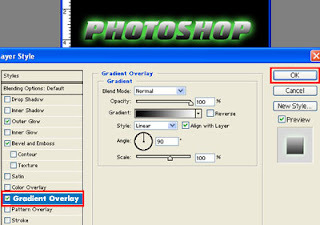 You can change the gradient by clicking on the image gradient in the window. 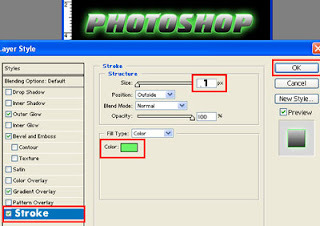 Add a border effect with the option Stroke. Click on the color and select the desired color. Instead of a gradient fill, you can use the Color Overlay. 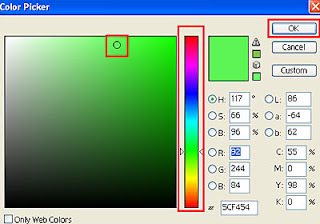 Click on the color and select the desired color. Save the changes. To make the text more interesting use Drop Shadow. 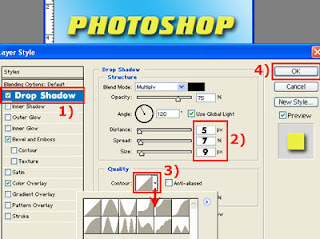 Experiment with the settings by selecting the contour (Contour) and choose the appropriate options.